Do you know that when it comes to the number of Internet users, India stands at 2nd position? This status does not sound staggering given the enormous population we have. Sadly, when it comes to speed, we are at a shocking 135th position! High Speed Internet and laptop...a blogger's best friends!! WE are sick of our browsers loading and are in a desparate need to upgrade ourselves. I am one of the few privileged ones who uses a 3 G connection. My wifi is Airtel 3g as well as my Mobile connection. However I would love if I get faster internet! Being a doctor and blogger, Internet has to be at the click of my fingers. Whether its responding to urgent patient emails (read downloading heavy MRI scans and Xrays) or uploading the same, I need speed at my tips! Being a blogger, I am constantly upgrading my social media. And believe me for writing my blogposts, I need fast internet to upload my pictures! Photos taken by a DSLR camera are quite heavy and its not a pretty sight to wait while they get uploaded! I was pretty satisfied with my Airtel 3G when Airtel decided to surprise us all with 4G! Now imagine how fast everything is going to be! Instagram is already my favourite app and now with 4G, I would be able to use my DSLR pictures too! The best part? You can actually check how fast Airtel 4G is...It is just a tweet away! A big social animal I am, I love chatting. 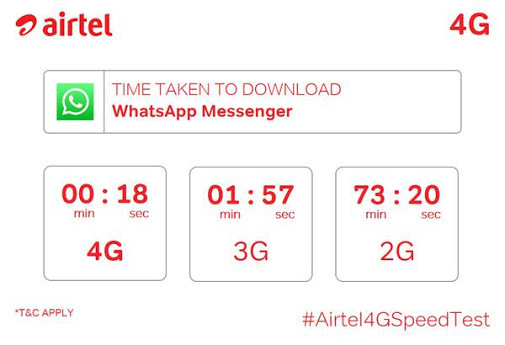 hence I chose WhatsApp Messenger app to know how fast #Airtel4G is! The result is absolutely shocking! Whatsapp would get downloaded at a whopping speed of 18 seconds! So what are you waiting for? Go for #Airtel 4G now!! Cheers to faster Internet browsing! Great post! Ps. 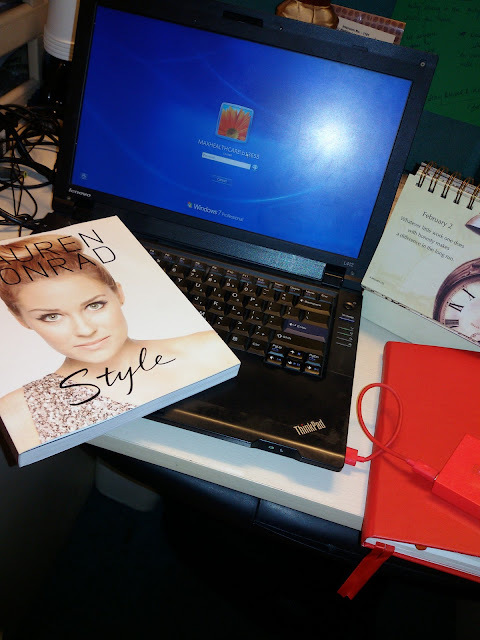 I love Lauren Conrad's Style book! Whatsapp in 18 sec is very impressive !